A journey in a land of mystique and rich heritage…Trek the Altai Mountains, habitat of the elusive Snow Leopard, and summit the highest peak in Mongolia! 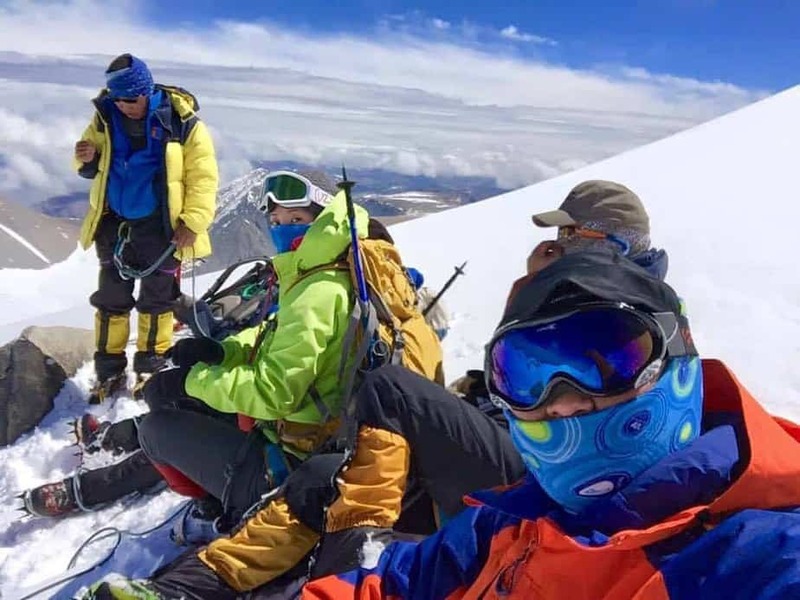 The Altai Mountains (Khuiten Summit) series is targeted to take place over 9 days 8 nights across the remote expense of the western border of Mongolia. Working in tandem with our trusted local partner, Wildfire Expeditions heads deep into the Altai Mountains spanning Russia, China, Mongolia and Kazakhstan. A spectacular journey across vast, remote wilderness inhabited only by traditional herding familiies and wildlife, and hiking above 4,000m, this expedition promises to take your breath away – in more ways than one! Mt Khuiten is part of a mountain chain called Tavan Bogd, meaning ‘five saints, with each of the peak names representing simple meanings: Nairamdal – friendship; Malchin – herder; Burgd – eagle; Olgii – cradle; and Khuiten – cold. According to the National Geographic book “The 10 Best of Everything”, Mt. 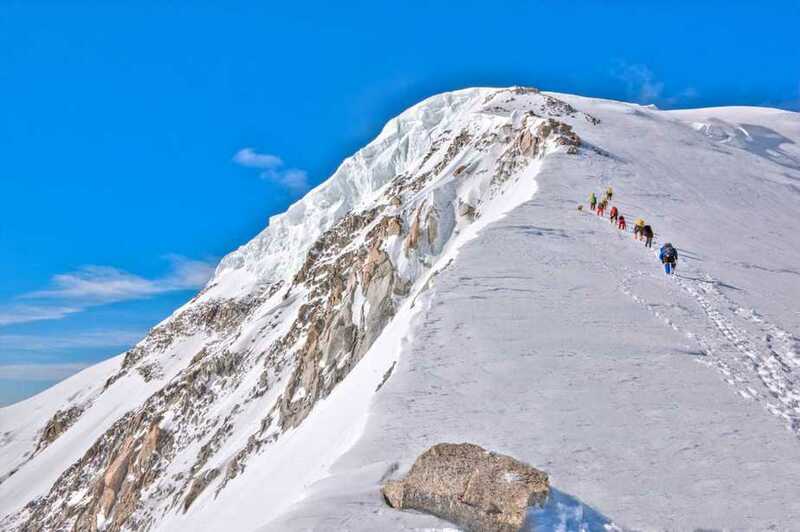 Khuiten, Mongolia has been listed number one on Top 10 Climbs. During the trip you will not only get the adrenaline rush of reaching Mongolia’s highest peak, but experience the warmth and welcoming nature of the Mongolian nomads. This is a multi-day high altitude trek involving hiking through snow and ice, sleeping above 3,000m in a remote region known for its harsh environment and unpredictable weather. The pre-requisites are a base level of physical fitness and an open mind. You may feel outside of your comfort zone at times – be prepared for the unpredictable. With no connectivity to the outside world and creature comforts an overnight journey away, living is stripped to its purest form. Take the chance to interact with fellow human beings, savour the rare opportunity of tapping into yourself and enjoy the glorious setting most people can only “like” in Instagram. VISA Please check for your corresponding Country on Visa requirements. The trek begins with an easy hike and gentle ascent along glacial rivers, allowing time for acclimatization while taking in the beauty of one of the world’s most remote glaciers. After Base Camp, the ascent becomes steeper and you will really feel the altitude. 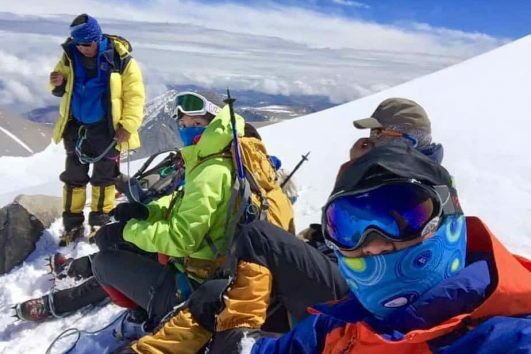 Alpine mountaineering is required, traversing glaciers and snow fields, culminating with some ice climbing to reach the peak of Mount Khutien at over 4300m! The views of the neighboring peaks and Mongolia below will astound you! Love the idea of the trek across the vast Mongolian Expanse, but not ready to scale your first technical mountain? No problem! We offer this package to allow for base camp trek and experiencing the Pontian Glacier, without the summit to Mount Khuiten. Enjoy the base camp, choose to trek by horse back and climb the less technical Mount Malchin. We have experienced local guides as well as technical mountain guides from the United States joining this adventure! We ensure the maximum adventure with the highest level of safety. See and experience some of the rugged land that Chinggis Khan and his loyal soldiers travelled as they expanded the Mongol Empire. Experience delicious Mongolian cuisine, learn about the local history, and see how that heritage is still practiced by the people in their current way of life. We will also have a day to explore Ulaan Bataar and experience the city’s restaurants, culture, and shopping. Don’t miss out on this adventure of a lifetime! Come Join us for this amazing experience! Bayan-Ulgii -> Fly from UB, to Bayan-Ulgii, Drive to Oigrog river or Tsagaan river, 220km. Camp by River. 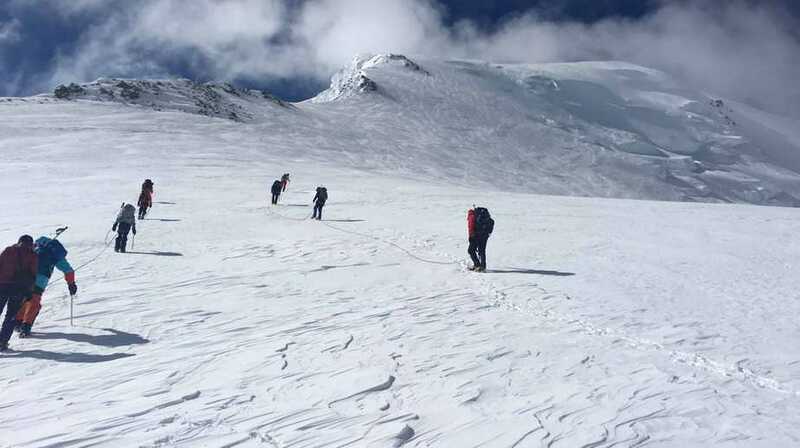 Basecamp -> High camp, 7km, snow and glacier traversal required. High camp -> Khuiten peak, 4374m, 5km of ice climbing and trekking. High camp back Base Camp, rest day. Checkout our expedition video from August 2016. Select the trek you would like to join in the booking tool to the right. Each deposit, includes a $250.00 non-refundable registration fee.